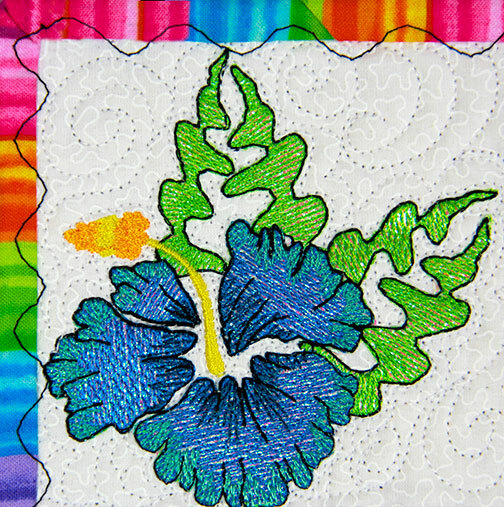 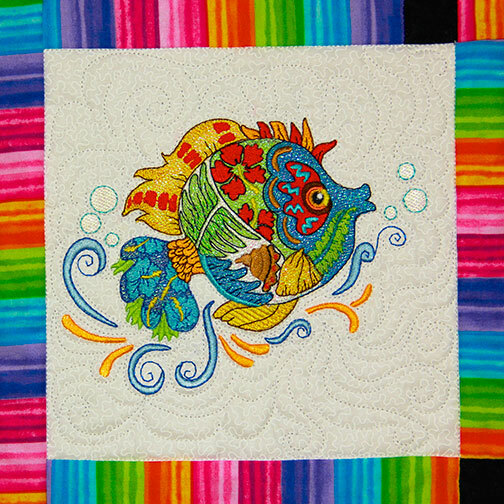 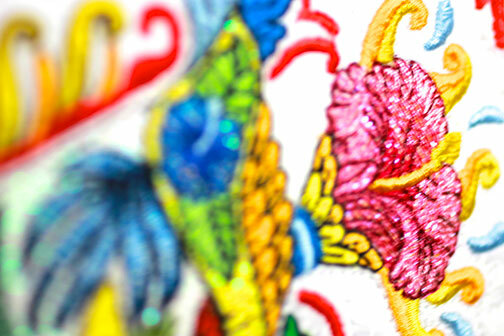 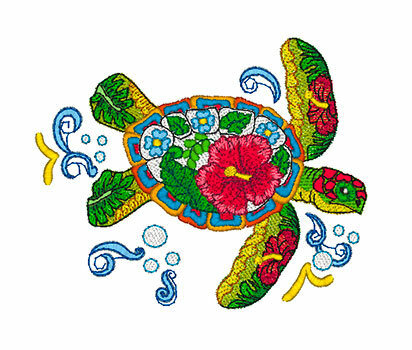 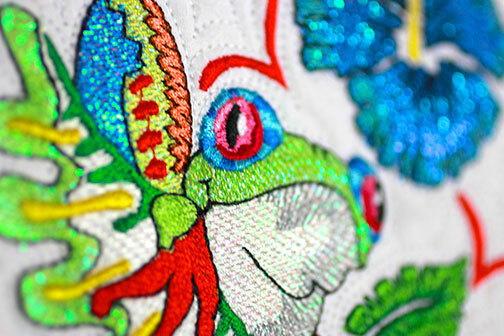 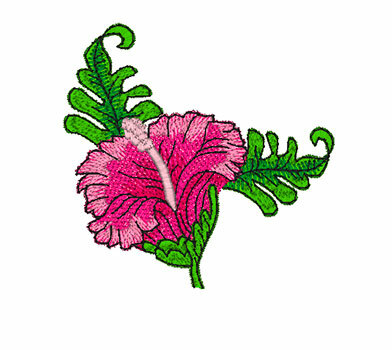 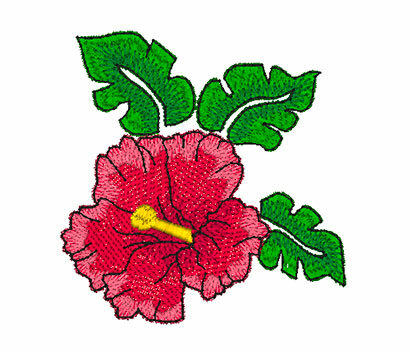 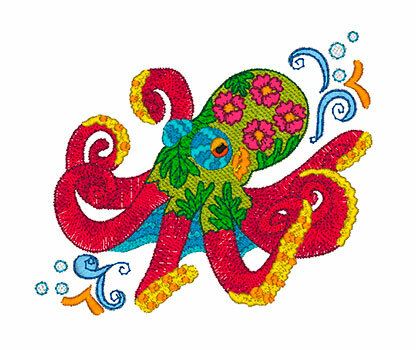 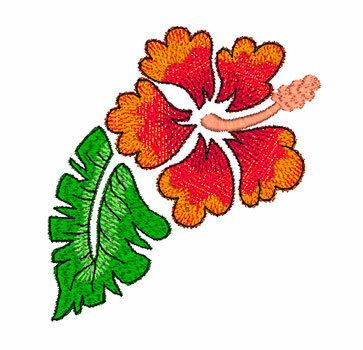 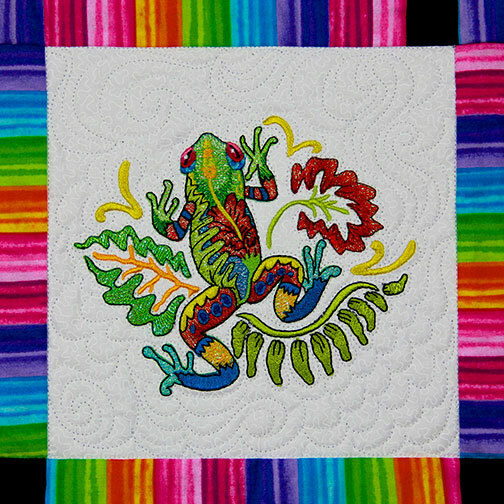 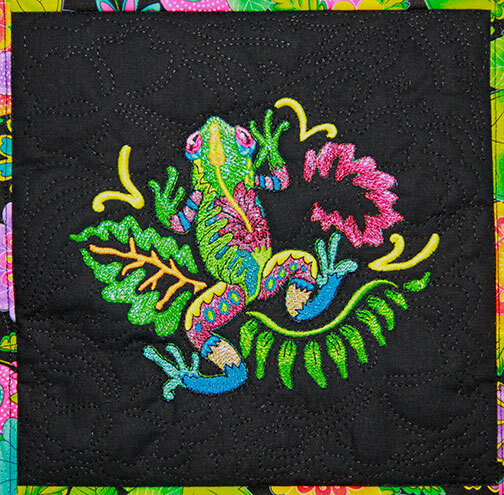 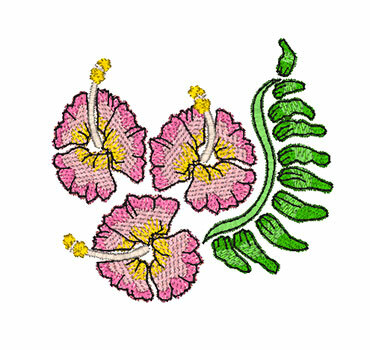 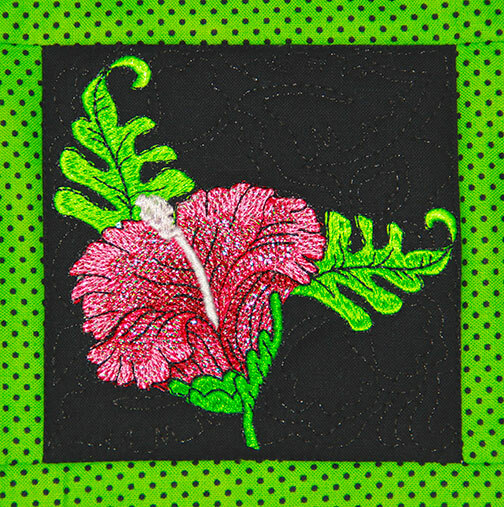 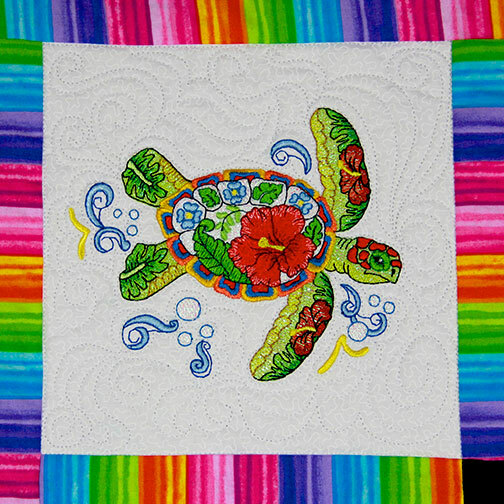 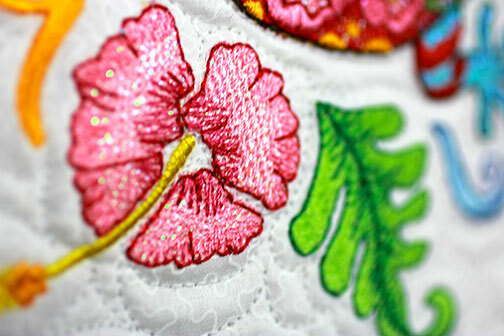 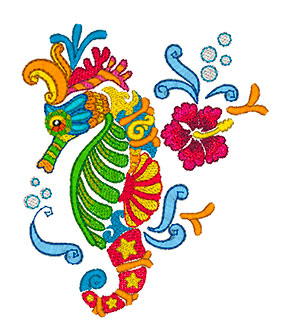 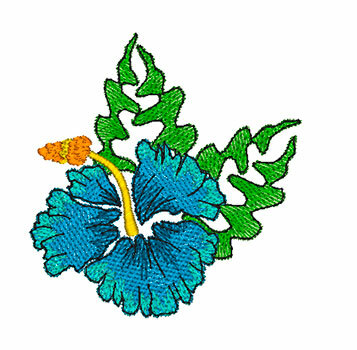 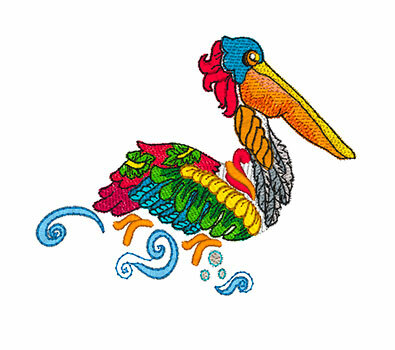 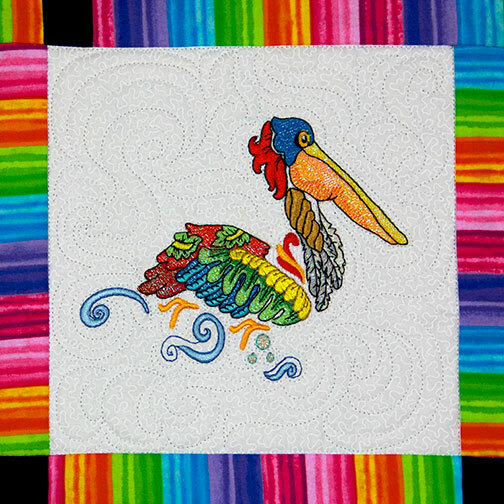 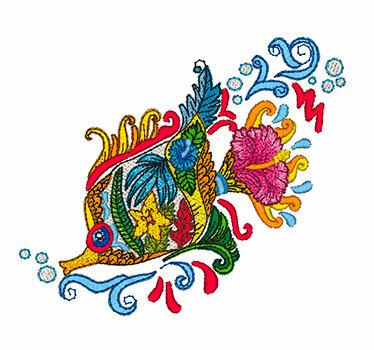 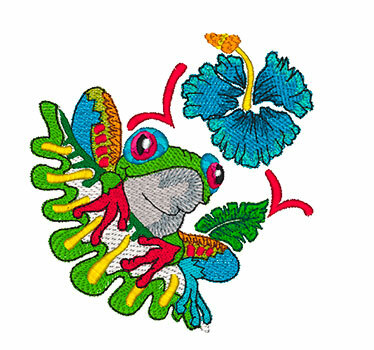 Mylar In The Tropics is a bright and colorful collection of tropical life made even more brilliant by the fabulous shine of Mylar Embroidery ®. 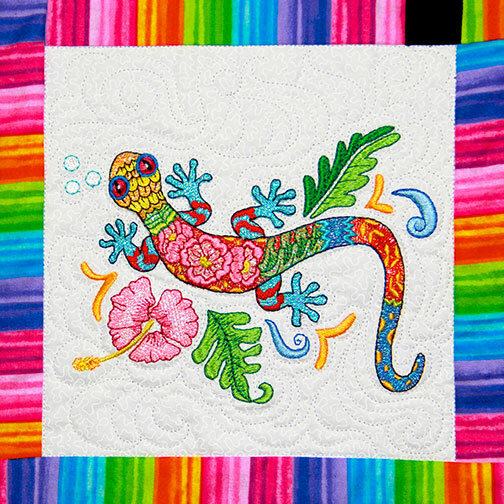 This tropical paradise includes a pelican, seahorse, sea turtle, frogs, tropical fish, salamander, octopus, crab and a variety of tropical flowers. 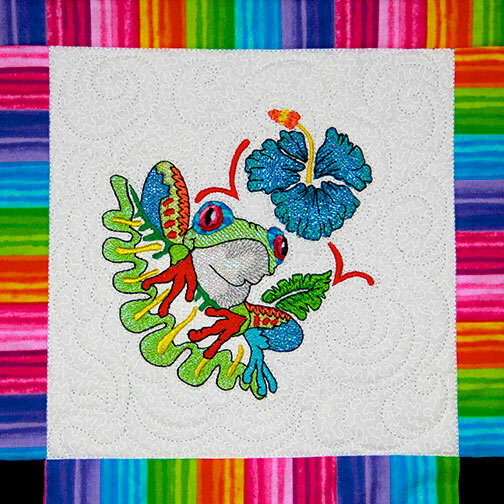 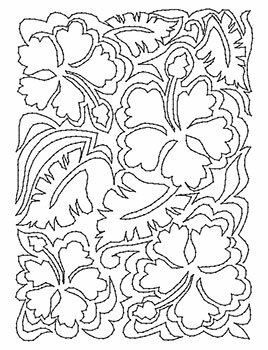 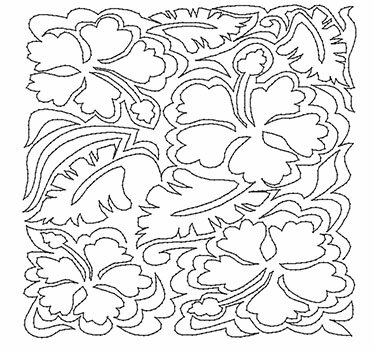 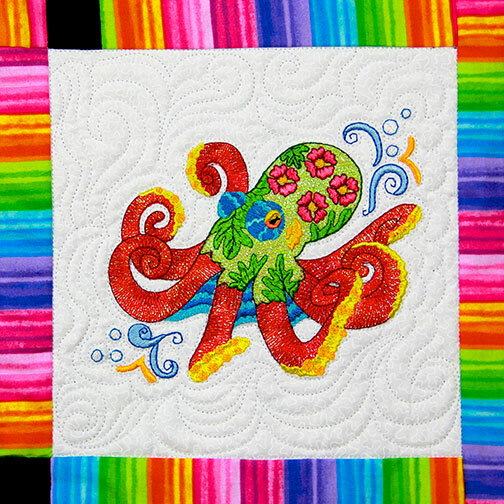 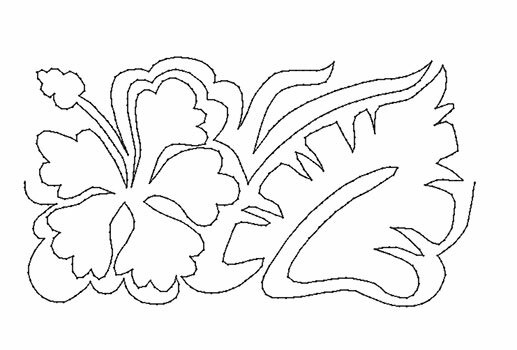 This collection also includes 3 quilting motifs and a border motif. 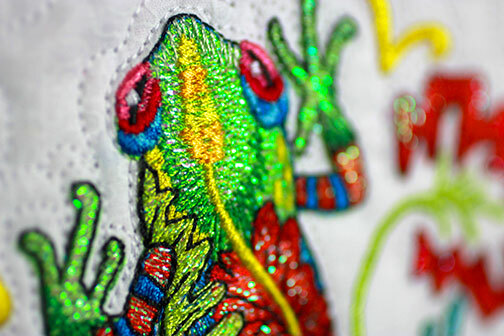 Add some color to your day with Mylar In The Tropics.